You don't realize how important your back is until it's broken. Tyler realized during rehab that weight training fulfilled the athletic desire he lost in football. I started when I was about 16. I played high school football and took a helmet to the back from a fellow teammate in practice. A week later and I found out I had two herniated discs in my lower back. My dream of playing college football was over. I took the therapeutic route for my back and began doing light strength training and core exercises to strengthen my body. A couple of months after therapy, I developed such a passion for training. Five years later and a whole lot wiser, I am ready to break out into the industry and give it everything I've got. The love I have for the sport is immense and will never die out. I typically do a 5 on, 1 off, 1 on split. It is kind of my own concept. Also I usually always throw in a drop set on my second to last and final sets. And I always change my plan up; I never do the same thing ... ever! This day I do cardio and abs as well as any body part I currently think needs more attention, as of now I am hitting calves and hamstrings on Day 7. It is a day I dedicate to pumping blood through the muscle and putting it through more strenuous activity to try and bring the size up to par with my other dominating body parts. I alternate between weighted and bodyweight abs every other workout. So if Day 3 is bodyweight abs, Day 5 would be weighted, Day 7 bodyweight and so on. I also typically do 3 exercises and 3-4 sets of each exercise when training abs, but this can vary. Right now I am doing a 4/2 split with 6 meals a day. 4 days of low carb meals and 2 days of high carb and then repeat the cycle. I feel this gives the body a good shock so it never gets hooked on repetition. My high carb day is 7-9 oz of carbs per meal, these carbs go up or down depending on what I am currently doing, i.e. clean bulking or cutting for a show. Sample of high carb day. I am always trying different things but I stick to the basics as far as supplements are concerned. I use Optimum Nutrition 100% whey protein along with their L-glutamine, fish oil, glucosamine and chondroitin and Multivitamin (Opti-Men). I use Ultimate Nutrition's BCAAs with PrimaForce's Creatine Ethyl Ester. I also use a pre-workout on the hard hitting days like back and legs. Currently I am using SuperPump MAX. Also, Vitamin C is big in my diet. When cutting I use OxyELITE Pro. The love I have for the sport is honestly beyond words. There is no adjective or word that can completely describe the feeling of living this lifestyle. After all, it is a lifestyle and everything you do revolves around it. It is a constant battle and competition against yourself. The idea of never being satisfied fuels the continuous motivation to better the physique. Regardless of my future in the industry, it is a lifestyle I will continually live. The love between fitness and me will never die. I would be lying to say the mirror doesn't contribute to the motivation in some way, shape, or form. The concept of seeing your physical body change in what can be such a short period of time is truly amazing. What you put into the lifestyle is honestly what you get out of it. My family and girlfriend are also huge players in motivation. They always have supported me in all decisions I have made. Favorite Personal Quote: "You're either in or you're out!" I don't know really how to answer this besides saying the drive inside. I don't know what it is inside me, but my heart is so set on going out and achieving success in anything I do. I don't want to look back 20 years from now and say I should have gone for it, or I should have done this or that. If an opportunity is close by, I go after it. The worst possibility that can happen is I fail or someone says no, and I strive on that. I am making the transition from Bodybuilding to Physique. In the end, the physique look is the direction I want to go. I also feel it is attainable naturally and that is a life I have and will continue to live. Currently I am about to prep with my new training team Peak Performance Prep. They're awesome people and I am looking forward to rocking the house with them for the NPC Garden State on June 9th and then possibly go for my Pro Card in July at Team Universe depending on how I look in June. Be patient. Too many people, especially my age, want results too fast. 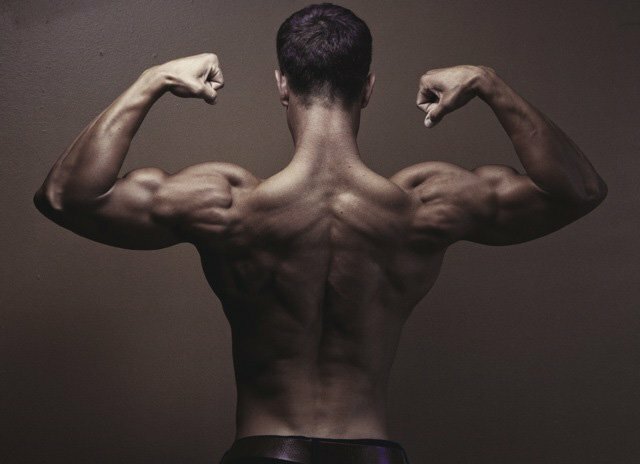 It takes time to build a muscular physique with great symmetry and proportion. Put in the work and the results will come. Greg Plitt is definitely the man. There will never be another guy like him. Also, I am looking forward to the journey of competing against guys like Ryan Hughes and Steve Cook. Both have standout physiques in the industry. As far as bodybuilders are concerned, Evan Centopani will always be and remain my favorite bodybuilder. He was one of the coolest guys I ever met. I think my favorite aspect of Bodybuilding.com is the supplement reviews part. It contains an endless amount of information on every supplement imaginable, which is definitely a great resource I utilize. Also, it is awesome to see the entire fitness community come together and create such a positive energy on the site which motivates tons! I want to give a big thank you to my brotha Mike for training me for my past show. He has offered me a tremendous amount of knowledge and I could never thank him enough. He is a true friend with a true passion for the sport! Nick, Dave, and Dustin. They help keep me in check and support me in everything I do.